Also the 130/466 which was rumoured may come in the same consultation which would be a saving but would probably be presented as a package of improvements to the south of Croydon area. This consultation gets a mention in the minutes of the October meeting of Croydon Council's Public Transport Liaison Group. The reference to the 410 is interesting - seems like this route is still facing capacity issues and TfL is not quite sure how to tackle it. The best thing with the 410 would be to create 2 separate services and strip out the sections that go via tight turns/corners. That would allow even a DD service to be run from Wallington to East Croydon then either via the 197 or 312 to NJ then via the 157 to CP. Extend maybe the 322 ( which has to use small buses anyways) to Croydon via the Crystal Palace backstreets and Davidson Road. Whilst I understand the busiest part of the route is along Davidson Road which can only take small buses, cacapcity probably isn't helped on by the fact many people from East Croydon use the 410 to get to CP as opposed to walking to the 157 or changing trains. 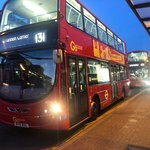 Empty buses starting at Croydon may help the Davidson Road section. That’s surely an idea for the ‘fantasy’ thread. Can you imagine the cost implications? Yes the routes busy but there are far worse ones. There seems to be an obsession on this forum wherby when a route has a problem it must be chopped in half and created as two separate routes. I agree that the Wallington section should be withdrawn and replaced by another route such as the 403. I suggested previously that the 410 should be rerouted via Lansdowne Road rather than Cherry Orchard Road, it would still serve the back of East Croydon station and would improve journey times and would avoid the route being rammed with route 197 passengers. I don't know what else can be done, larger buses are out of the question and increasing the frequency will inevitably mean more buses meeting on narrow sections. I would think most people going from West Croydon to Crystal Palace would take the train which takes about 10 minutes? I had a friend that used to drive the 410, and he said the main issues where the tight turns on the Upper Norwood back streets, not the Davidson Road double runs. The 157 is quite popular for CP to West Croydon too. Not really sure about that, think both routes are busy at CP, but tend to empty out by South Norwood, just to refill for the Croydon leg. Dont doubt there maybe some few through journies, but imagine any are pretty few. I say this as a regular user of both routes, with the 410 being the bus passing nearest my front door in South Norwood. 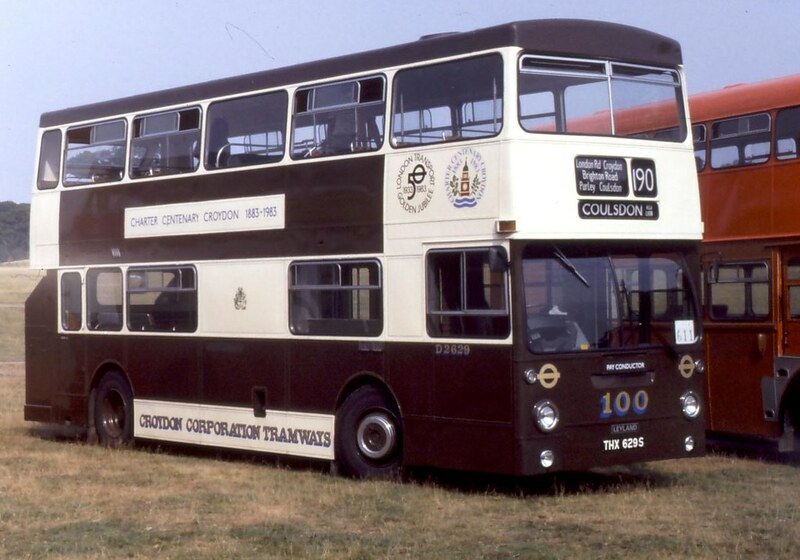 The 410 doesn't get rammed full of 197 passengers, it gets rammed full of its own passengers requiring Davidson Road & beyond - a 197 passenger would wait for a 312 instead. Running via Lansdowne Road towards Crystal Palace means the 410 misses serving East Croydon & interchanging between other routes like the 119 & 466 - the 410's journey times aren't the issue here. Anyone going from Palace to Croydon would take the 157 rather than the 410 but its there to cater for the demand from the back roads between Palace & Norwood Junction. There are plenty of people who will get a 197 or 410, whatever comes first. Rerouting it via Lansdowne Road means it will serve the back entrance to East Croydon.